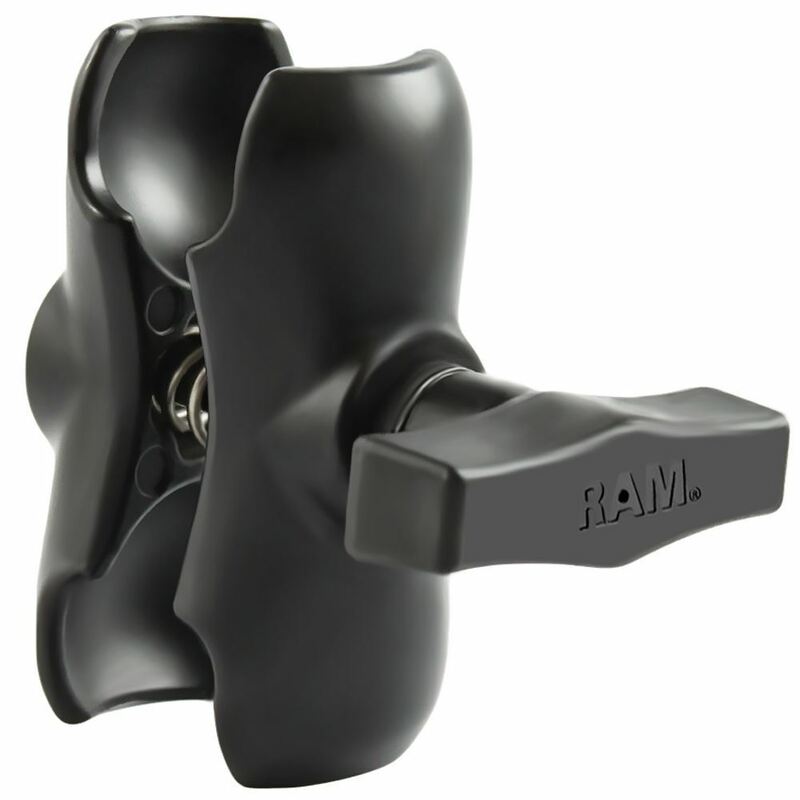 The RAM-201U-B Short Double Socket Arm for 1.5" Balls is a short socket arm that can connect to RAM Mounts and bases with a 1.5" diameter rubber ball. The RAM-B-201U-B RAM Short Double Socket Arm for C Size 1.5" Balls from the RAM Mount Arms range is a short length double socket arm with a specially designed socket on either end that is made for size 1.5” ball bases. The arm has an adjustable rubber ball and socket system at each end, allowing you to maximise your viewing angles and adjustment possibilities.